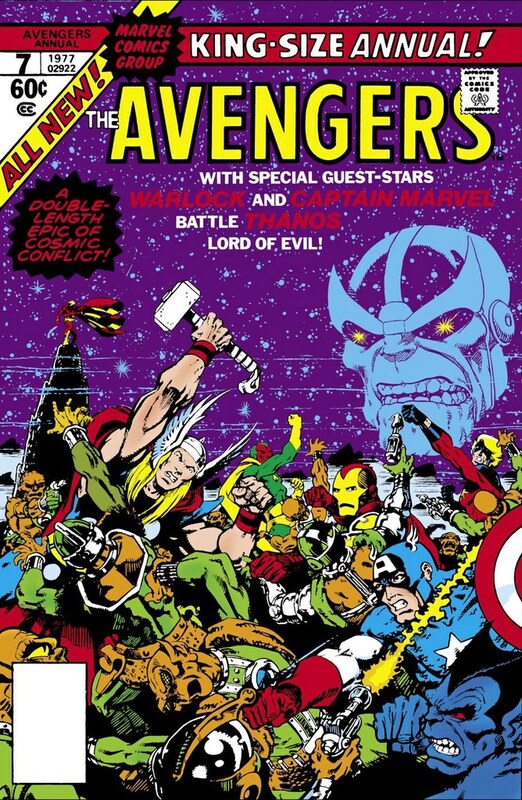 Showing the Avengers + Captain Marvel (another Starlin character) in combat with the thralls of Thanos. Warlock stands on a hill in the distance, silently observing. 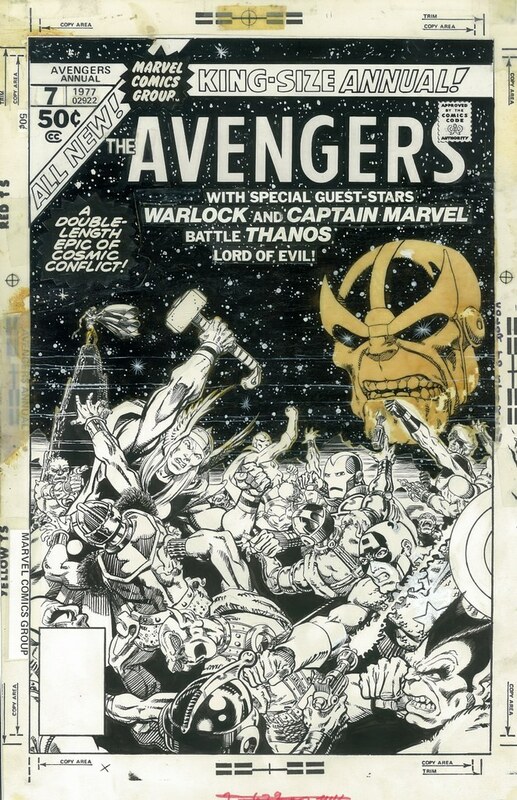 The head of Thanos in the background is eerie, due to the overlay process used on the cover. Here is the original art plus the overlay for the blue plate plus extra logo. 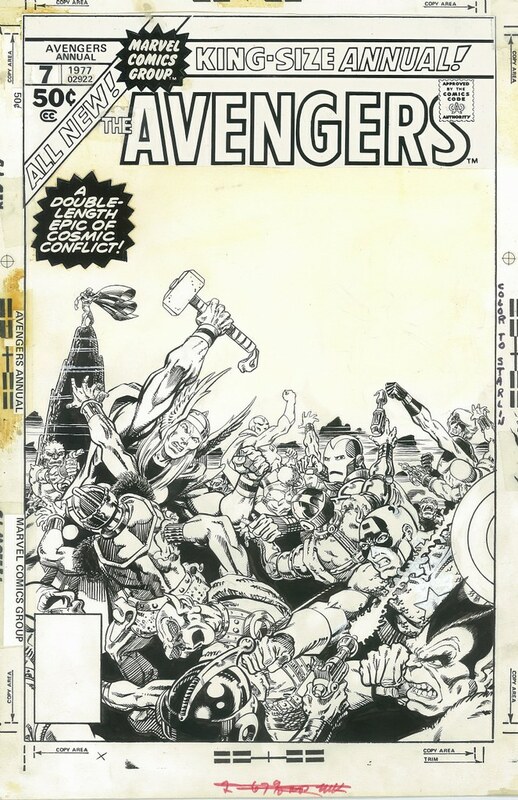 It looks like Starlin used a razor blade to make the white streaks continue on from the hill Warlock is standing on. I will be doing a review of this Warlock collection soon. Stay tuned! Nuff Said.